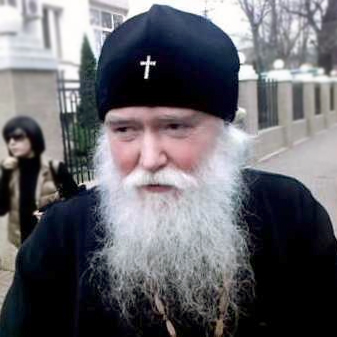 Metropolitan Agafangel (ROCOR-A) has suspended the three well-known Izhevsk Priests, Archpriest Sergius Kondakova, Archpriest Mikhail Karpeeva, and Priest Alexander Malyk, because of their participation and signing the statements of the Diocesan Assembly of ROCOR-A Archbishop Sophrony of St. Petersburg. 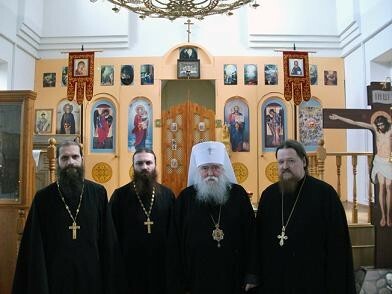 The three priests, who have come to be known as the “Izhevsk Fathers” came to prominence about 4 years ago when they joined ROCOR-A from the Moscow Patriarchate. However, since they chose to take the side of Abp. Sophrony of St. Petersburg and Bp. Dionysius of Novgorod, and write letters of protest against what they claim was the pro-Ukrainian nationalist bent of Met. Agafangel they have been subject to increasing pressure. The controversy has been transpiring for some time now. 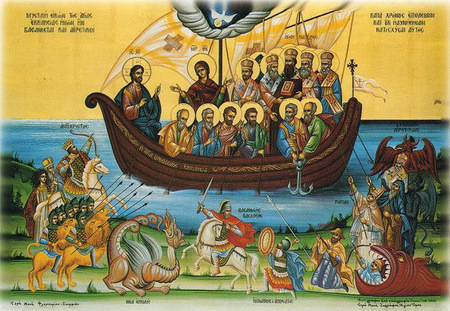 The three Priests, although living in Russia, were apparently under the jurisdiction of Metropolitan Agafangel of Odessa, Ukraine, as opposed to being under one of the ROCOR-A Russian bishops. The decree suspending them from priestly service will come into effect on November 10th of the New Calendar date.